LIVE ONLINE! 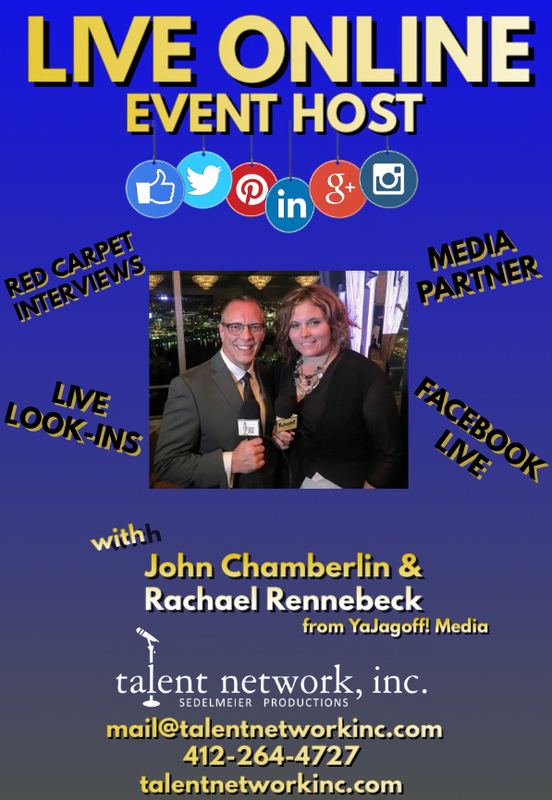 Event Hosts- John Chamberlin and Rachael Rennebeck - talent network, inc.
Is your next event in need of a hilarious duo who can go LIVE ONLINE? John Chamberlin and Rachael Rennebeck of YaJagoff! Media are the perfect people to host your next corporate or convention event. The two can go LIVE on Facebook, Instagram and more! Contact talent network, inc. for more information on how to get John and Rachael at your next event!